Music festivals and raves have grown more popular in recent years. Festival drugs, such as MDMA and LSD, are a part of the festival experience for many people. These drugs come with risks, so it is important to understand their effects as well as symptoms of an overdose. Music festivals have long been a place for people to celebrate their favorite musicians. Many of these festivals are about more than just music, however, and include activities such as camping, art, and food. They’re a place to enjoy time with friends, explore the music-loving community, and dance. Recently, music festivals have seen an influx of electronic music. Electronic dance music (EDM) helped to generate global revenues of almost $6.2 billion in 2014 alone, with much of that figure reportedly coming from festivals and clubs.2 Raves, or electronic dance parties, have been steadily increasing in popularity since they began in the 1980s.3 EDC and Ultra Music Festival are some of the largest rave festivals in the U.S., and many mixed-genre festivals such as Coachella feature electronic music artists. For some, music festivals include the use of alcohol and drugs. Festivals, particularly ones that include EDM, are a sensory experience for attendees, filled with music, dancing, lights, and art. Some people use drugs to intensify the experience, keep partying, or simply experiment. Alcohol: Alcohol can lower inhibitions and help people relax. In a music festival environment, alcohol may help people feel more comfortable socializing, dancing, and generally letting loose. Though its risks are downplayed or altogether overlooked due to its licit status and near ubiquity in many social settings, in high quantities alcohol can have serious health consequences. MDMA/Ecstasy/Molly:4 MDMA, or Molly, is a synthetic drug that can cause increased energy, enhanced sensory perception, emotional warmth, and a distorted sense of time. Many users report feeling more connected with those around them, which is part of why Ecstasy has become so popular in the music festival scene. Ecstasy is commonly encountered as pressed pills containing at least some MDMA, but often also a cocktail of other adulterant substances, such as ketamine, cocaine, bath salts (synthetic cathinones), or methamphetamine. In large doses, MDMA and Ecstasy can have dangerous effects on the user, and the adulterants can cause bad reactions. Marijuana:5 Marijuana, cannabis, pot, or weed, is a plant that can be smoked, vaped, or infused into food, known as edibles. Its primary psychoactive compound is THC (tetrahydrocannabinol), which can cause relaxation and euphoria, though some people report paranoia and anxiety. Memory problems, altered sense of time, and difficulty thinking or problem-solving are also common among users. In high doses, users may develop hallucinations, delusions, or psychosis. Cocaine/crack:6 Cocaine and crack cocaine are stimulant drugs that can make the user feel extreme energy and happiness, hypersensitivity to sensory input, and sometimes paranoia. The energetic effects lend themselves to the party environment, as music festivals often involve hours of dancing. Unfortunately, these stimulant effects also come with an intense crash period. Many cocaine users frequently re-dose or “binge” to avoid the crash. Opioids:7 Opioid drugs can range from heroin to prescription painkillers. They produce feelings of euphoria, relaxation, and reduced sensation of pain. Like alcohol, users may take opioids to relax or feel a surge of euphoria. But there are many concerns with taking opioids in this kind of environment. They have an extremely high addiction potential, and taking them in high doses, without a prescription, or in combination with other drugs can lead to overdose. LSD:8 LSD, or acid, is a hallucinogenic drug, meaning it can cause users to see, hear, or feel things that aren’t real. It can create rapid mood swings as well. The perceptual effects of acid make it very popular among festival-goers. In high doses, the user may lose touch with reality and inadvertently put themselves in potentially harmful situations. Mushrooms:8 Mushrooms, or shrooms, are another popular hallucinogen at music festivals. Their primary psychoactive compound is psilocybin, which also produces perceptual hallucinations and mood-altering effects. If the trip is too strong, a person may become paranoid or anxious. Other hallucinogens:9 Designer hallucinogens include 25I, 2C-B, 2C-I, and many others. These drugs have hallucinogenic and stimulant effects, but there is very little research on them. Many of them have more hazardous effects than LSD or psilocybin. These drugs are sometimes sold as LSD/shrooms, placing unsuspecting users at risk of seizures or cardiovascular issues like increases in heart rate or blood pressure. Adderall:10 Adderall is an amphetamine medication commonly prescribed to treat symptoms of attention-deficit hyperactivity disorder (ADHD). Like other stimulant drugs, Adderall may be abused at music festivals in an attempt to boost energy, allowing users to dance longer and stay awake. It can also cause serious health problems, especially if the user takes it in large doses. Cardiovascular complications, such as stroke. Bad trips (anxiety, paranoia, and fear that one is going insane or losing their identity). Many of these potential consequences have to do with the conditions at festivals. Attendees want to enjoy the experience as much as possible, and drugs may seem like a way to keep energy levels up. The elevated level of activity at music festivals can lead to overheated, under-hydrated festival goers, and drugs can exacerbate or mask these problems. Further, many drugs are not what they were claimed to be. Often, dealers will sell other, cheaper substances as the “pure” drug to make a better profit. Designer hallucinogens with greater health concerns can be sold as LSD, for example. Synthetic cathinones, or bath salts, are often sold as MDMA or Ecstasy. Free water to encourage people to hydrate. Medical services to ensure that bad situations don’t turn deadly. Many food options to keep people well-fueled throughout the event. Limited alcohol sales to reduce alcohol poisoning. Amnesty boxes where illegal drugs can be discarded without the person being arrested. Reduced festival hours so attendees don’t overexert themselves. Extra security and staff to keep an eye out for problems. Drug education information in flyers and ads. Organizations that provide free condoms, water, earplugs, and drug information. A more recent harm reduction approach is free pill testing. Festival attendees can bring their drugs for a no-questions-asked chemical test to make sure that the drugs are pure. People provide a very small sample of their drugs, and professionals use drug-testing kits to find out what substances are actually present. Pill testing allows people to make an informed decision about their drug use. Some who discover that their Molly is actually bath salts—which have more serious health risks than MDMA—will choose to take their pills anyway. But they will at least be aware of what they took. Many people simply throw away these bunk drugs. 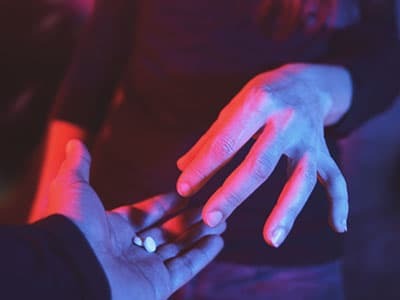 Organizations such as DanceSafe and the Bunk Police provide free supplies and pill-testing services to help people make better choices about street drugs. Use a buddy system. Look out for each other and have a set place where you can meet if you get separated. Get oriented. Take time to get familiar with the locations of the medical tents or other places where you can find help if you or your friend needs it. Stay hydrated. 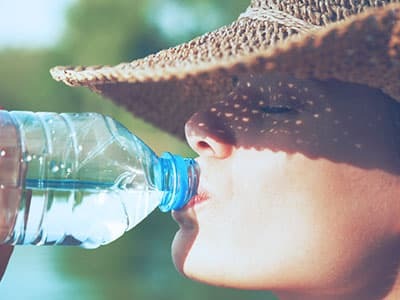 Know where to find free water, and set an amount that you plan to drink throughout each day. Take breaks from dancing. It can be difficult to step away from the music, but giving your body a break from the exertion and heat can make a huge difference. Use these breaks to re-fuel with food and water. Educate yourself on drug use. Know the signs and symptoms of health issues associated with drugs, from dehydration and overheating to overdose. 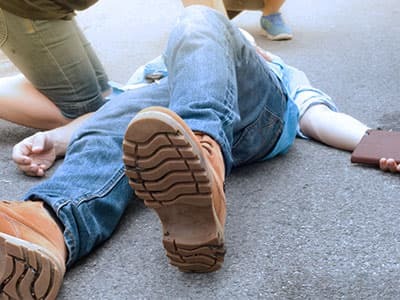 Alcohol:13 Alcohol poisoning may quickly turn deadly. Symptoms include severe confusion, vomiting, difficulty breathing, slow heart rate, clammy skin, trouble staying conscious, or extremely low body temperature. MDMA/Ecstasy/Molly:14 High or frequent dosing can make the user more likely to experience overdose symptoms such as extremely high body temperature, high blood pressure, faintness, panic attacks, unconsciousness, or seizures. Marijuana:5 Deadly overdose on marijuana alone is extremely uncommon. But high doses can still cause mental and physical issues. Marijuana use may also be problematic for people with a predisposition for mental illness. Symptoms of an overdose include panic, extreme anxiety, paranoia, acute psychosis, or hallucinations. Cocaine/crack:6 Cocaine or crack cocaine overdose symptoms are directly related to the drug’s effects on the cardiovascular system. Symptoms include irregular heart rhythm, heart attack, stroke, or seizure. Opioids:15 Overdose on an opioid drug can be fatal because it can dramatically slow breathing. Combining opioids with other drugs such as alcohol or benzodiazepines can put the user at an even higher risk of fatal overdose. Look for symptoms such as slow or stopped breathing, unconsciousness, and pinpoint pupils. LSD/acid:16 A fatal overdose on LSD is very rare. But a user can still have an extremely bad experience with LSD, called a “bad trip.” Sometimes, people on LSD may end up harming themselves or others. Like marijuana, LSD may also trigger mental illnesses in people with a predisposition to them. Symptoms to watch out for include a sense of extreme panic, depersonalization (feeling detached from one’s body or thoughts), anxiety, or combativeness. Mushrooms:17 Even though mushrooms are not generally fatal, it is possible to experience adverse effects from a high dose. Symptoms include anxiety, nausea, abnormally high heart rate, high blood pressure, extreme weakness, or vertigo—as well as the symptoms of a bad trip described above. Other hallucinogens:9 Some of the dangers of designer hallucinogens stem from the fact that people don’t know much about them. Additionally, these drugs have countless variations, so new effects are uncovered all the time. Many of these designer drugs are sold as LSD, leaving users vulnerable to unexpected and potentially harmful reactions. Some signs to watch out for include agitation, delirium, aggression, paranoia, violence, rapid heart rate, high blood pressure, and extremely high body temperature. Adderall:10 Like cocaine, overdose effects of Adderall or other prescription stimulants are centered on the cardiovascular impacts of the drug. Symptoms include high blood pressure, increased heart rate, high body temperature, lack of appetite. Cardiovascular complications, such as stroke or heart attack, may also occur at high doses. Consider seeking medical attention if you or someone near you exhibits or experiences any of the severe signs or symptoms listed above. Music festivals are hot, crowded, and loud, which can make it even more difficult to recognize an overdose. Most festivals have a medical tent with staff that can help a person through these emergencies. Calmly get the overdosing person to medical help, and make sure to truthfully report what drug the person ingested and, if possible, how much. You may want to supply a sample of the drugs the person took to ensure that the person gets the best help possible. If someone you’re with is having a bad trip, feeling extremely paranoid, or experiencing severe panic, try to find the quietest location possible. Sometimes, this means leaving the concert area. Alternatively, you can seek out help from medical professionals. Some festivals have areas or tents set up specifically for people who may be having an intense trip. Counselors at these tents are trained in helping people through a difficult psychedelic experience. Ask festival organizers about these options so that you can be prepared if such a situation arises. The only way to completely prevent a bad drug experience is to avoid taking drugs in the first place. Sometimes, festival goers will repeatedly put their body and life at risk for a high that only lasts a couple hours. Unfortunately, their brains and bodies can suffer long-term consequences, including the possibility of developing dependence and addiction. If you or someone you care about is struggling with addiction or drug abuse, don’t be afraid to reach out for help. Recovery Brands. (2015). The Growth of Concerts and Music Festivals. Watson, K. (2015). IMS Business Report 2015: North America Edition. International Music Summit. Simms, S. (2013). History of The Rave Scene: How DJs Built Modern Dance Music. DJ TechTools. National Institute on Drug Abuse. (2016). DrugFacts: MDMA (Ecstasy/Molly). National Institute on Drug Abuse. (2017). DrugFacts: Marijuana. National Institute on Drug Abuse. (2016). DrugFacts: Cocaine. National Institute on Drug Abuse. Opioids. National Institute on Drug Abuse. (2016). DrugFacts: Hallucinogens. Weaver, M. F., Hopper, J. A., & Gunderson, E. W. (2015). Designer drugs 2015: assessment and management. Addiction Science & Clinical Practice, 10(1), 8. National Institute on Drug Abuse. (2014). DrugFacts: Stimulant ADHD Medications: Methylphenidate and Amphetamines. Substance Abuse and Mental Health Services Administration. (2013). Drug Abuse Warning Network, 2011: National Estimates of Drug-Related Emergency Department Visits. HHS Publication No. (SMA) 13-4760, DAWN Series D-39. Rockville, MD: Substance Abuse and Mental Health Services Administration. Saleemi, S. Pennybaker, S. J., & Woolridge. (2017). Who is ‘Molly’? MDMA adulterants by product name and the impact of harm-reduction services at raves. Journal of Psychopharmacology, 31(8). National Institute on Alcohol Abuse and Alcoholism. (2015). Alcohol Overdose: The Dangers of Drinking Too Much. National Institute on Drug Abuse. (2017). MDMA (Ecstasy) Abuse: What are the effects of MDMA? World Health Organization. (2014). Information sheet on opioid overdose. National Library of Medicine: Toxicology Data Network. (2012). LSD Human Health Effects. Jo, W., Hossain, M. A., & Park, S. (2014). Toxicological Profiles of Poisonous, Edible, and Medicinal Mushrooms. Mycobiology, 42(3), 215-220.